Patina and River Tides - oh how I love thee! Welcome back from a beautiful weekend! Did you get any of your painting projects completed?? Today I want to share with you two of my favourite colours in the van Gogh paint line - 'River Tides' (which is custom to Mango Reclaimed) and 'Patina'. First let's take a look at 'Patina'. 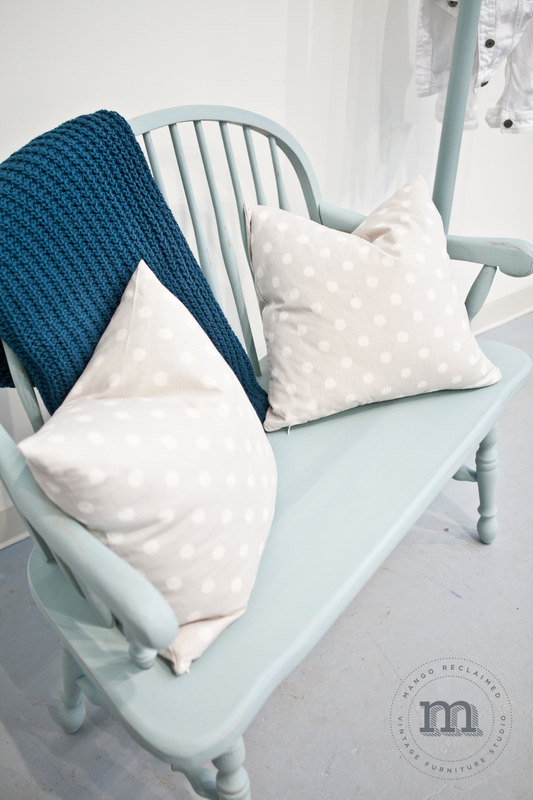 This colour is the perfect go to colour for almost any painting project! It's a soft blue/green that has excellent coverage properties. 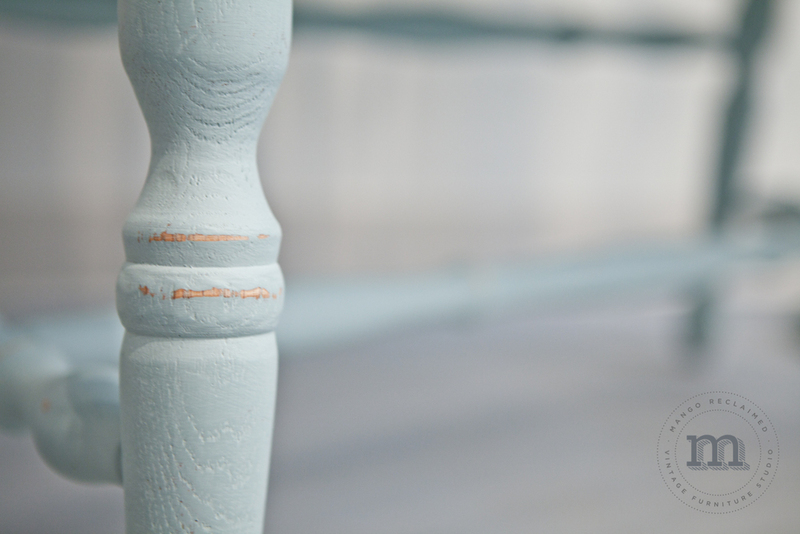 Its soft watery colour is gorgeous on tables, chairs, sideboards, benches, hall tree's. . . . This custom restyle was painted overall in van Gogh Patina, given a mild distress and a clear wax finish - beautiful! Who wouldn't love this colour? Now let's take a look at 'River Tides'. It's sort of like Patina's bluer, bolder older sister. A bit more punchy and a bit more daring, but still soft and sweet . . . This custom restyle was van Gogh painted in 'Patina', given a mild distress and both a clear and French caffeine protective wax finish. Which of these two colours do you like best? ?